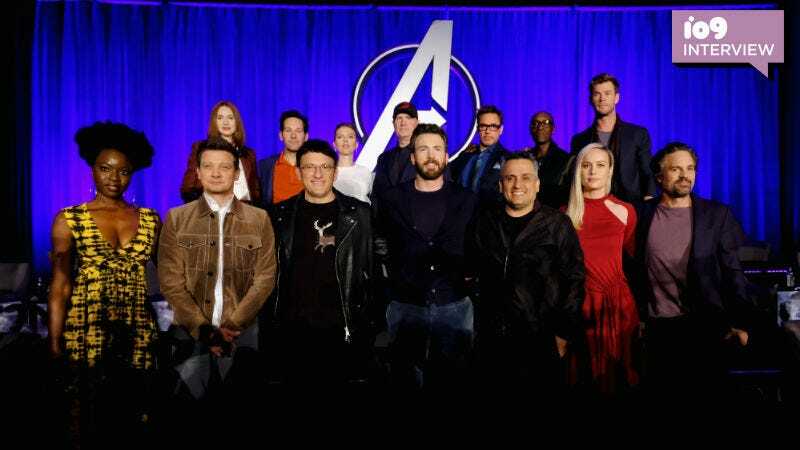 The cast and crew of Avengers: Endgame at the recent press conference. Rumor has it Marvel Studios’ upcoming film, The Eternals, could feature the first openly gay character in the Marvel Cinematic Universe. No one has confirmed that yet and, in fact, no one has formally confirmed The Eternals is even happening. However, at the recent junket for Avengers: Endgame, we asked Marvel Studios president Kevin Feige about the accuracy of that rumor and if LGBTQ heroes are something fans can expect to see in future Marvel movies. Okay, there’s a lot going on in that quote. First is that Feige doesn’t confirm or deny The Eternals character rumor specifically, just that Marvel has been talking about LGBTQ representation for a long time. He also suggests representation is something “we’ve been doing for a long time” which is debatable, up until last year at least. Once you get past those two things, though, it’s a very positive response and as close to a confirmation as one can get without acknowledging that the movie in question even exists. They’re focusing on making sure “every member” of their global audiences seems themselves on screen and one huge missing section there is the LGBTQ community. So, if you had to bet, the rumor (which originated on That Hashtag Show) certainly seems like it’s accurate, though fans may not know for sure for a while. Though Marvel and Disney haven’t confirmed The Eternals officially, it is almost certainly happening. Chloe Zhao will be directing and Angelina Jolie is believed to be a part of it as is Kumail Nanjiani. The company’s next film is that tiny movie called Avengers: Endgame, out April 26.